The Google has expanded support voice search in more Indian languages. In addition to Hindi and English, Google will now support eight more Indian languages including Bengali, Gujarati, Kannada, Malayalam, Marathi, Tamil, Telugu, and Urdu. Starting today, speakers of these languages will be able to use their voice to dictate queries — both in Gboard on Android as well as in Search through the Google App. In order to perform a voice-based search, users will need to set their language in the Voice settings menu in Google app. The new language support will also enhance voice typing on Gboard, helping users to respond to emails on the go and send texts within messaging apps. To enable Voice Typing, users can install Gboard and choose their language from the Settings. You can tap the microphone to start speaking. Google says it has worked with native speakers to collect speech samples, asking them to read common phrases. This process not only helped train Google’s machine learning models to understand the sounds and words of the new languages but also improved the accuracy when the system encountered more examples over time. Voice input for each of these languages is expected to get better over time, as more and more native speakers use the product. Google supports voice search for 119 languages globally and is adding support for 30 new languages, eight of which are from India. Google has been ramping support for Indian languages across its various products like Maps and Search. 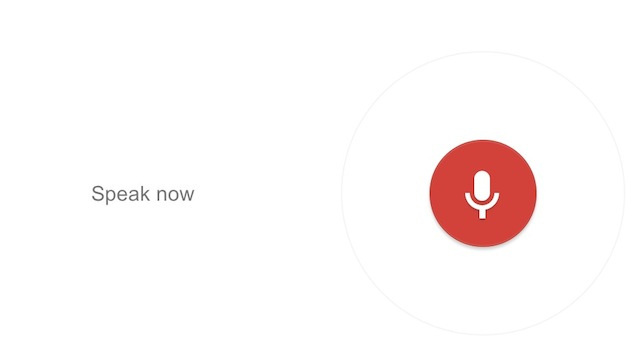 Voice search in eight more languages will be available in Google Search on iOS as well. These will soon be extended to other Google apps and products, including the Translate app.